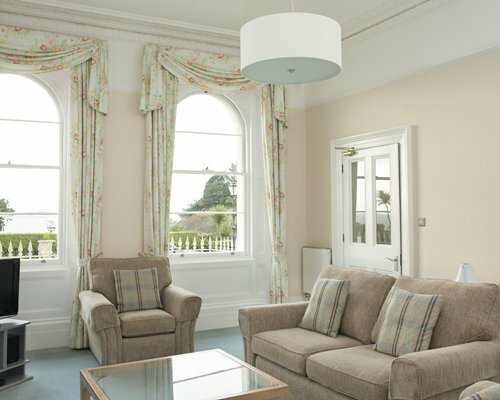 Located within historic Hesketh Crescent on the English Riviera, The Osborne Club offers resort, guests elegant accommodations, spectacular views and acres of lush English gardens. 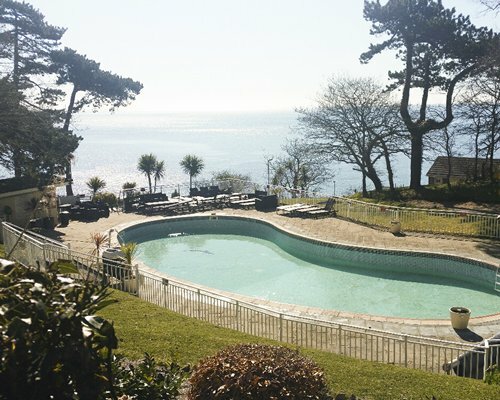 Set in the peaceful, leafy and unspoiled surroundings of Meadfoot, the resort overlooks a breathtaking beach and guests are treated to sparkling sea views from almost every angle of this oceanfront resort. Enjoy indoor and outdoor swimming in one of the resort's two pools, a game of tennis, or work out in the gym. Featuring spacious and elegant one-, two- and three-bedroom apartments, The Osborne Club's individually designed apartments provide guests with the perfect blend of comfort and style. Floor to ceiling windows and regency-style furnishings are typically English, while the spectacular ocean views and sweeping palm trees give guests the giddy feel of the French Riviera. Spacious, light and decorated in the warm colors of the Mediterranean, these tasteful units all feature living and dining space, entertainment centers, well equipped kitchens with microwave ovens and large, sunny bedrooms. Some units include the added space of a study/lounge area and enclosed sun porches such as unit 40 which is a smaller 2bed apartment. 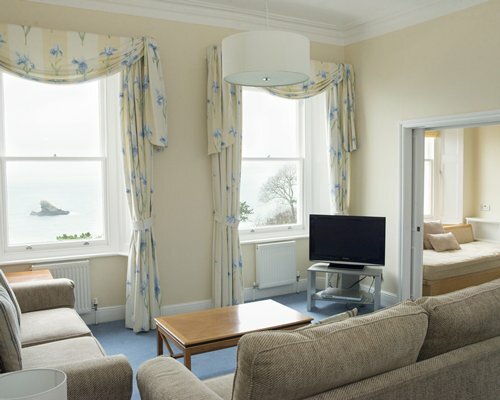 All linen is provided and guests arrive to freshly made beds and towels carefully laid out.Please contact Resort prior to confirming your holiday, to check if your unit has sea view. 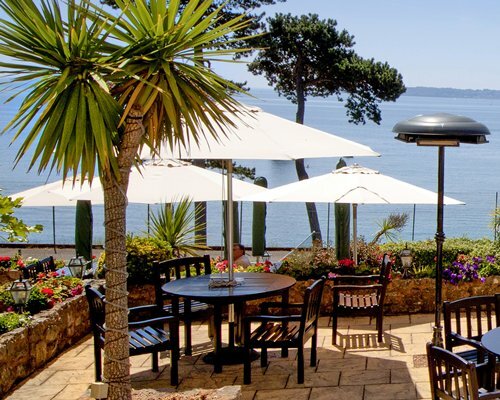 Torquay, located on the south Devon coastline, is by far the most popular destination on the stunning English Riviera. 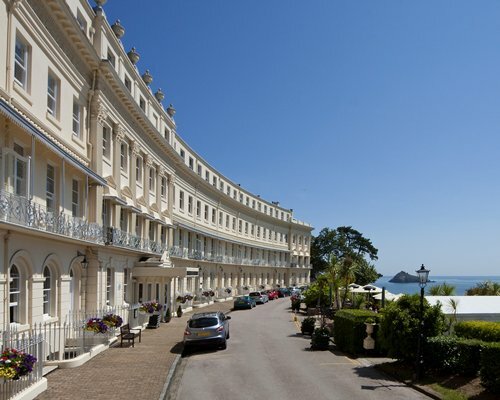 With its 22 miles of coastline, stunning panoramic views and warm climate, it's a classic English seaside resort that has been a favorite holiday destination for the British since the days of Queen Victoria. Its rich history is evidenced in the sparkling white villas perched on verdant hilltops and elegant homes gracing its main streets. But the resort also sports a modern vibe with sportsmen alike enjoying surfing, sailing and water skiing along its beautiful beaches. The resort's waterfront is the focus of life in the town, where visitors will find a palm-lined promenade, lively harbor, and vibrant arts scene. The Mediterranean-style coastline lends a perfect backdrop to any culinary experience, and guests can sample a variety of local and continental cuisine in its many sidewalk cafes, European brasseries and fine dining establishments. BY AIR: Exeter (23 miles), Bristol, or London Heathrow. BY ROAD: The resort is 200 miles from London. 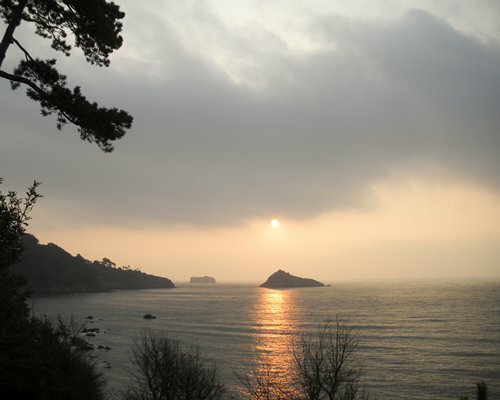 From the M5 motorway at Exeter, take the A380 to Torquay. Follow the signs to the sea front/harbour. At the clock tower, turn left into Torwood street. At the first set of traffic lights turn right and follow the road up over the hill and down the other side for Meadfoot Beach. 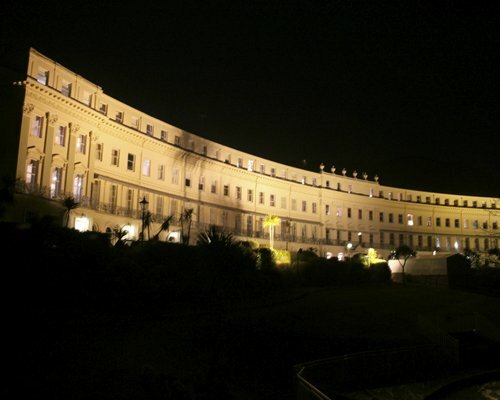 The entrance to The Osborne is on the left. BY RAIL: Nearest Intercity train station: Torquay, approx 1? miles away. The easiest way to the resort is then by taxi. Outdoor pool will be closed until further notice. Spa fee is 5.00 GBP. Cash or Credit is accepted. Refundable deposit after using the gym.